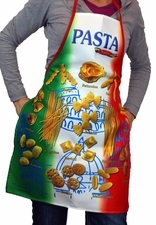 Mama mia! Our selection of witty and traditional Italian aprons will get you in the mood to crack open grandmas old cookbook and start whipping up Sunday dinner. You'll find all the traditional style Aprons you've been looking for as well as a few newbies. 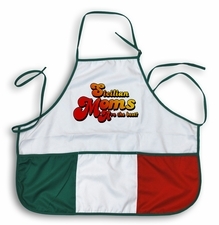 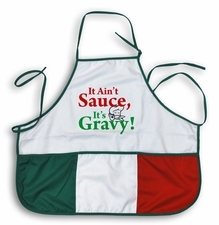 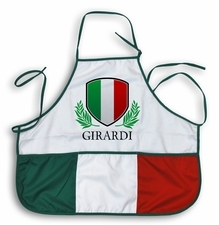 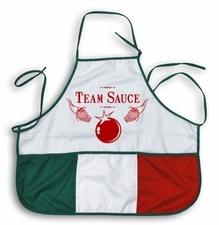 Italian Flag Aprons are the most popular at GuidoGear.com . 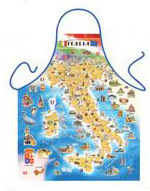 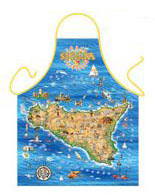 Show your little bambino just exactly where the family�s recipes came from when you wear your Color Italia Apron, which shows a colorful full map of Italy. Running the grill this summer? 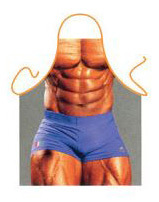 Be prepared with The Grill Father Apron. 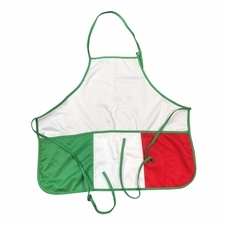 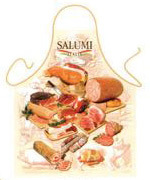 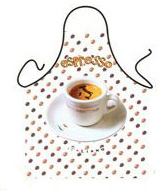 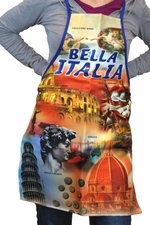 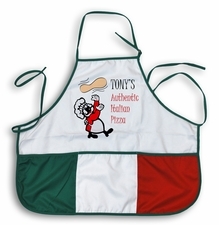 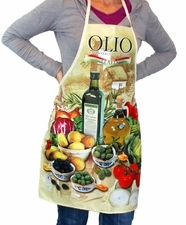 Our Italy aprons come in a number of bold colors and hot designs. Go simple and classic with an Italian Flag Apron (our most popular selling apron) or get one that�s funny and witty like the �If you don�t like-a my cookin� I break-a your head!� apron. Where does your family hail from? 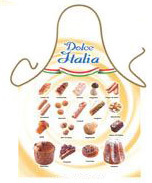 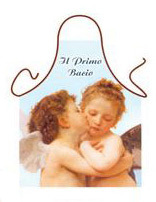 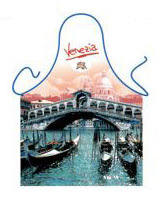 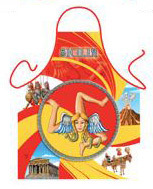 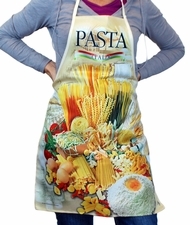 Get an apron for Rome, Naples, Sicily or Venice Italy. 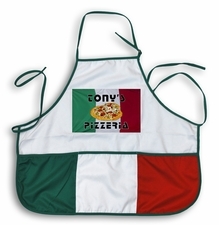 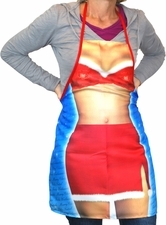 Want a personalized apron? Maybe your family name or your favorite thing to say when you're about to serve up your favorite Italian meal? 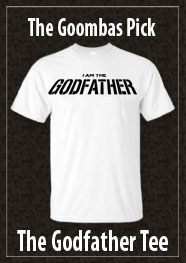 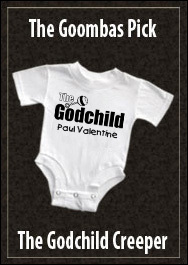 Then check out our personalization options -- contact the GG team if you need any help with your order. Braka You Head Apron "PaPa"